The Gastroenterological Society of Singapore (GESS) gathers together some of the finest people in the medical fraternity in Singapore to further our knowledge and practice of Gastroenterology and Hepatology. I am deeply honoured to have the privilege to serve as President of GESS (2018-2020) and know that my fellow colleagues in the Executive Committee feel the same way. The continued success of GIHep Singapore and the GESS Postgraduate Course over the past years affirm the hard work of previous GESS leaderships. The current leadership hopes to build on that success. The GESS Postgraduate Course held in January 2019 was a great success, attracting many foreign Gastroenterology trainees. Kudos to the Program Directors of the health clusters as well as the faculty who kindly shared their knowledge. GIHep Singapore 2019 will be held from 11-14 July 2019. It promises an exciting and packed program, renowned faculty and provides a chance to catch up with old friends and make new ones. Do block your dates and attend! The GESS Nursing Chapter has also been active and vibrant. The Gastroenterology Nursing Progamme at GIHep Singapore has been expanding over the years to include topics on Endoscopy, Liver, Inflammatory Bowel Disease, Nutrition and GI Cancer. Many of our nursing colleagues put in precious time after work to put together an outstanding programme every year. Apart from organizing highly successful meetings, GESS is also a society to which many Singapore gastroenterologists feel a strong sense of belonging, a society where together we push the boundaries of knowledge and skill in Gastroenterology and Hepatology, where we provide mentorship to new generations of gastroenterologists while at the same time, appreciating the kinship of those who came before us. I hope, with the help of the Executive Committee, to create more avenues for interaction between colleagues from different clusters, public and private sectors, medical and nursing professions, as well as across the generations. The GESS is the largest (in terms of membership base) national society in Singapore dedicated to the pursuit of excellence in Gastroenterology and Hepatology. Our special interest groups (SIGs) provides opportunities for interested parties to collaborate in research, training and education in various subspecialties. Apart from academic pursuits, the GESS serves as a voice of the Gastroenterology community at the national level. The GESS will continue to serve its members by putting forward considered views on matters which impact the medical profession and society. In the past months, the GESS has expressed its position on various matters including, inter alia, fee benchmarks and continuing medical education matters, to various agencies. The GESS should and must remain engaged in issues that affect the medical community. Finally, I would urge all Gastroenterologists, whether young at heart or still in training, to actively partake in the activities of the GESS. It is only through your participation that the GESS can continue to fulfil its missions. I am honoured and privileged to be the President of the Gastroenterological Society of Singapore (GESS) (2016-2018). The members of the Executive Committee and I aim to strengthen the society during our term to better serve the Gastroenterology community in Singapore. We shall harmonise and integrate our educational and scientific events. There will be two main events every year. The annual scientific meeting of the society, GI Hep Singapore will be held in July. In addition to cutting edge lectures and free paper presentations, Endoscopy Workshop will demonstrate live procedures which are novel or uncommon. The Post-graduate Course will be held in January. The course program is designed by the directors of the three Gastroenterology Senior Residency Programs in Singapore and is meant to cover the curriculum over a 3 year period. With the division of basic and advanced specialty training into the three clusters by the Ministry of Health, our current trainees and newly qualified gastroenterologists do not have as many opportunities to interact and work with one another as in the past. To this end, the society will also organise dinners during GIHep and the Post-graduate course to provide our members the opportunity to interact with colleagues from within Singapore and from the region. During the term of this Executive Committee, we shall also seek to engage with our industry partners. These are exciting times with new drugs, procedures and equipment introduced during our term. Some drugs have brought about a paradigm change in the way we view diseases eg in Hepatitis C treatment. These advances also mean that current gastroenterologists and those in training need to be updated on the use of these drugs and procedures. Here, we shall work with local opinion leaders, and with our industry partners to organise single topic events, usually on the sidelines of GIHep and the Post-graduate course. To this end, I urge everyone to be involved with GESS and spread the word to your colleagues, encouraging all new gastroenterologists and trainees in gastroenterology to join us in meeting the mission of the society. Together with the Executive Committee, I look forward to working with everyone for the good of our community and specialty. 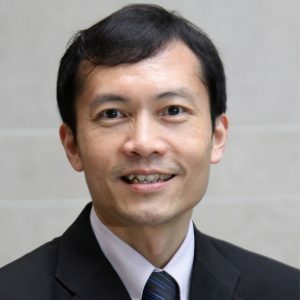 The Gastroenterological Society of Singapore (GESS) enters 2014 with the new GESS executive committee having a two-year mandate to serve its members. 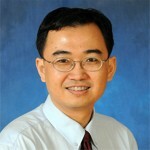 It is both an honour and privilege to have this opportunity to work with the gastroenterology and hepatology community, building upon the achievements of the outgoing EXCO, to fulfil the objectives of the Society: to advance the knowledge and practice of gastroenterology and hepatology in Singapore, to promote education, research as well as regional and international cooperation in the field of gastroenterology and hepatology. GESS serves as an important platform in bringing people with diverse interest in gastroenterology and hepatology in Singapore together. We will work towards establishing and strengthening special interest groups (SIGs) in endoscopy, inflammatory bowel disease, nutrition, neurogastroenterology and hepatology within the society, to advance subspecialty interests, promote education, and provide opportunities for collaboration and research. 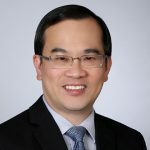 The Society will continue to engage the trainees by working with the SIGs, Residency Advisory Committee (Gastroenterology) and program directors of the Gastroenterology Residency Programs to conduct regular continuing medical education (CME) activities and workshops that will address their training needs. For the specialist, we will hold regular focused meetings addressing subspecialty interests and professional development. For our associate members, in particular the gastroenterology and GI endoscopy nurses, we will continue to work closely with them to meet their educational and training needs. We will continue to actively engage our members while establishing closer ties and collaboration with the regional societies. With the launch of our new website, members will be able to access our CME calendar, recordings of local CME programs and other features. The upcoming key events in our calendar is the annual post graduate course (Feb 2015) and GIHep2015 (31 July-2nd August 2015). Other CME events will be updated once finalised. Lastly, we want to acknowledge and thank our biomedical industry educational partners for their continued support in our educational activities. The new GESS Executive Committee is privileged and honoured to have the opportunity to serve the Gastroenterology and Hepatology community over the next two years. Change is upon us in the local healthcare landscape. For undergraduate medical education, there is an increase in number of medical schools and on-going refinement of the teaching curricula and processes. For postgraduate and specialist education, we have moved towards the US model of residency and fellowship training programs. In terms of continued professional development and research in the field of Gastroenterology, Hepatology and Gastrointestinal Endoscopy, there are now several well organized special interest groups holding excellent focused meetings to further their educational and research interests. GESS remains very relevant in the current landscape. In our constitution, our stated aims are to advance the knowledge and practice of Gastroenterology and Hepatology and to promote regional and international collaboration. GESS serves as a platform to bring diverse people with interests in the practice of Gastroenterology and Hepatology together to further our common objectives. For the trainees, we intend to work with the RAC (Gastroenterology) to address the educational needs. For the specialists we will conduct regular continued medical education (CME) activities, focusing in particular on areas of subspecialty interests and needs. We hope to have an educational program addressing common and important topics for the generalists. We will work closely with our associate members, particularly the gastroenterology and GI endoscopy nurses, to address development and training needs. We will seek closer collaboration and partnership with the regional societies. The upcoming key events in our calendar are GIHep 2012 (12th – 15th July 2012), APASL 2013 (7th – 10th March 2013) and GIHep in June 2013 and 2014. The CME events will be revamped and details will be publicized once finalized. Communications between the Executive Committee and the membership is crucial. We hope to provide regular updates on new developments and would welcome feedback from the membership. Last but not least, we acknowledge and thank our partners in the biomedical industry for their continued support for our educational endeavours. 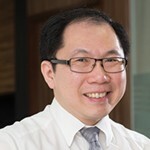 The Gastroenterological Society of Singapore enters 2011 with a two-year mandate for its leadership, following a constitutional review that was ratified by its membership in 2007. Outgoing president A/Prof. 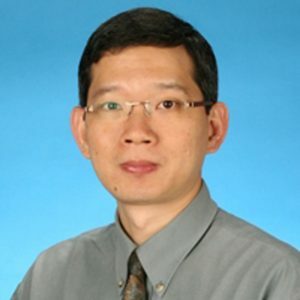 Teo Eng Kiong has worked hard with the executive committee to further strengthen our CME programme, and also completed a collaborative Singapore guideline on antiplatelet and and anticoagulation use in endoscopy. The new executive committee aims to build on these achievements, by further structuring our continuing education to encompass less-often discussed (but no less important) subjects in the GI spectrum, and also by fine-tuning a lecture series to meet the specific needs of our GI trainees. We have a substantial number of associate members who are GI and endoscopy nurse assistants, and we therefore need also to ensure that their education needs are well taken care of. In the next 2 years we plan also to explore in our educational content themes such as GI disease in the elderly, a subject that will increase in importance as our population continues to age. Our greatest challenge for 2011 by far however, is the organizing of Asian Pacific Digestive Week (APDW) 2011 on relatively short notice. I am pleased to confirm that the meeting will be held from October 1-4 at the Suntec Singapore International Convention and Exhibition Centre. The successively higher standards set by previous APDWs are at the same time daunting and inspiring, but I am especially encouraged by the numerous personal actions and commitments of support made by friends and partners in the ASEAN and Asia-Pacific region. We are therefore streamlining our CME programme in 2011 to build up to the main event in October, which will incorporate our annual GIHep meeting. APDW 2011 will include a Hands-On Pre-Congress Endoscopy Animal Workshop on September 30th, Postgraduate Workshop, Live Endoscopy Workshop, Advanced Diagnostic Endoscopy Course, and a symposium tailored for GI nurses. A strong Hepatology programme is planned. Please visit both this and the APDW 2011 website linked on this page in the weeks to come for further details and announcements. We promise an exciting and memorable APDW 2011 in Singapore that will be relevant to your practice in Gastroenterology/Hepatology and GI Endoscopy. Please save the dates, and get your abstracts ready! 2008 is a good time time for us to take stock, realign and to forge ahead. 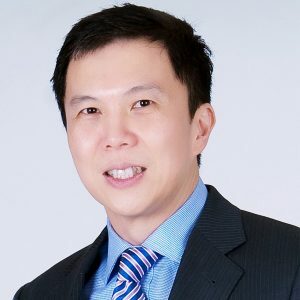 These past two years have been very trying for the Executive Comiittee in our attempt to close the financial accounts from AGA Singapore and APDW2003. With the accounting audit completed in 2006, the surpluses were taken into our financial Report for the Year 2006 and adopted in the Annual General Meeting in November 2007. Both accounts were closed and surpluses transferred to GESS by end of 2007. In January 2008, we have also paid the tax levied on the two surpluses. A review of the constitution of the Society, which has remained unaltered since inception, was conducted in early 2007. The main aims were to update and streamline the document for the benefit of all members. With unanimous agreement from members at Annual General Meeting in November 2007, the revised constitution was submitted to Registrar of Societies for approval and was eventually approved with minor modifications in March 2008. Noteworthy changes include limiting the office of Presidency to one two-year term and enacting a new position of President-elect to ensure continuity. GIHep Singapore 2008, moving into its third year, found a new exciting partner in Society of Colorectal Surgeons (Singapore). With a more holistic approach to this important event, we will successfully bring together a record number and wonderful mix of renowned faculty both from the region and at home. This year’s event also attracted more than 50 foreign delegates from both the ASEAN and the rest of Asia. With the Constitutional changes and more successful GIHep meetings, our society is now in an excellent position to take on greater challenges. Given that the last APDW held here was 2003, the Executive Committee felt it is opportune to bid for the Asia Pacific meeting. With the invitation by APAGE to submit bid for APDW2011, 2012 and 2013, the Executive Committee has decided to bid for APDW 2011 or 2012. We will also consider bidding for APASL thereafter. The Executive Committee has formed a dedicated committee to bid and organise the event. 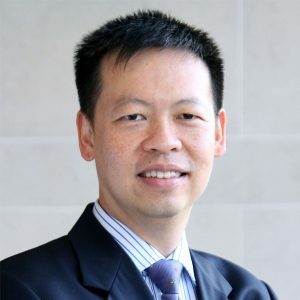 Dr Teo eng Kiong and I will take up the position of Co-Chairperson in the organising Committee, while A/Prof Yeoh Khay Guan and A/Prof Chow Wan Cheng have kindly agreed to the Scientific Co-Chairperson. The rest of the committee will be formed after we win the bid. As it will be crucial for the members of the society to help us plan ahead, I sincerely invite you to join us in this coming Annual General Meeting on 12 July 2008 at Conrad Centennial Singapore at 1730 hours. 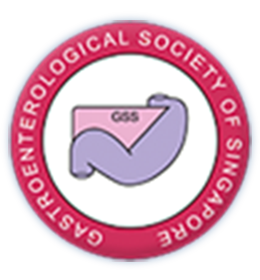 On behalf of the Gastroenterological Society of Singapore (GESS), it is my pleasure to welcome you to the official website of the society. 2006 marks an important year for the GESS as this is the year the society is holding the GIHep Singapore 2006, comprising the 4 th National Endoscopy Workshop, the Nursing Endoscopy Workshop, and the 21st Annual Scientific Meeting of the GESS . I am proud to announce that the website will be officially launched during the opening of the GIHep Singapore 2006 on 26th Feb 2006. The name “ GIHep Singapore” is so coined in 2006 since this is the first time the National Endoscopy Workshop, and the Annual Scientific Meeting of the GESS are co-organized by the Chapter of Gastroenterologists, Chapter of Physicians, Academy of Medicine, Singapore. In 2005, both GESS and the Chapter of Gastroenterologists signed a Memorandum of Understanding to involve each other in the organization of continuing medical education programmes. The GIHep Singapore is a product of such collaboration. The GESS website will house information relating to various aspects of the society, thus serving as a reference source for its members. Importantly, it will provide an important link for the society to reach out to the rest of the medical community, and the public at large. The website will function to complement the Gutview, which is the society’s official newsletter, as an e-newsletter. Lastly, we intend to use the website as another avenue to disseminate notices of upcoming professional development activities in the field of gastroenterology and hepatology held locally. The latter activities are currently being organized by the society on a monthly basis. I sincerely hope that all members of GESS will browse the website regularly and participate in the society’s affairs. I would like to thank all the GESS members, in particular the executive committee members for working so hard to contribute to the society’s success in the past one year. We look forward to the society’s continued success.